Drones have gone past their status of being some new, nerdy gimmick. Now, we’re seeing them everywhere. Hobbyists and businesses alike are seeing all kinds of great applications for these little aerial vehicles, and the construction sector especially has been influenced massively by them in recent years. Drones can provide a bird’s eye view of large-scale building projects, forming progress reports and giving investors and foremen real-time updates on progress, and any changes that need to be made during construction. Aside from basic maps, there are now companies that can provide sophisticated 3D models mapped from a mid-construction project, giving managers an even more detailed view of the work that’s going on. 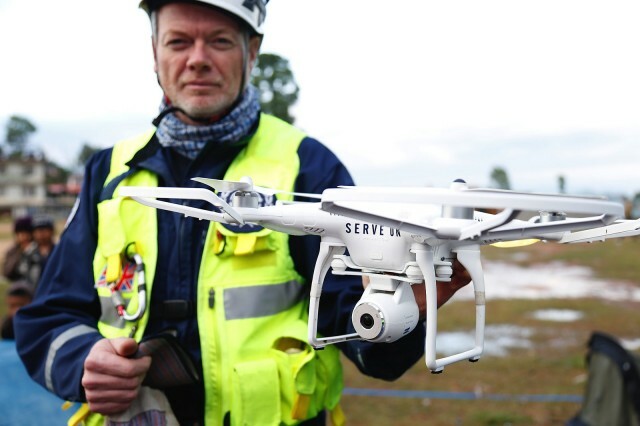 You can read more about these services at https://www.skycatch.com/precision-package/ . 3D printing is another technology that’s just starting to find its feet, and is now being used in a variety of commercial niches. One of these is the construction sector. 3D printing has already made a considerable impact in this area, but many think that we’re only seeing the beginning of its full potential. We’ve had access to sophisticated mapping systems like this: http://www.promap.co.uk/maps-and-data/current-mapping/os-detail for some time now, but 3D printing literally adds another dimension to the whole affair. This tech has the potential to reduce both the time and the cost of building a new home, and may even have a part to play in ending the housing crisis some day! AI is a bigger and bigger talking point these days, and we’re quickly seeing more and more applications open up for it. The Japanese construction giant Komatsu has apparently got sick of waiting for the future to arrive, and rushed feverishly right into it! The firm now uses drones to guide automated bulldozers and other vehicles around a construction site. The drones are able to draft 3D models of a project in progress, send this information through to unmanned equipment, and guide it towards the next stage in its job. While technology of the past has been all about benefiting current generations, there’s now much more emphasis on saving the environment, and creating a better world for generations to come. Some construction companies are doing their part by using a smog-fighting façade that’s coated in special paint made from titanium dioxide, and activated by sunlight. In the right conditions, this paint will absorb pollution fumes from the air, retaining their harmful acids, and improving the general air quality of urban areas. While the construction sector, like any big industry, represents a large strain on the environment, it’s good to know steps are being taken to turn this around. Next articleTwin Gates 2 – The Highly Addictive New Reflex Game By Thousand Games K.K.